Members receive an additional $10.00 off at checkout. This Breakthrough and Informative DVD Series on Vaccines is a 6-Part DVD Series Over 5-Hours Long. 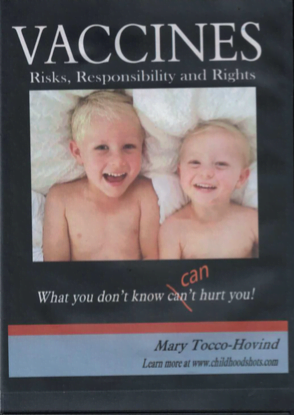 Mary Tocco is an Independent Vaccine Researcher and Public Speaker. Mary has exhaustively researched vaccines for over 30-years.